Looking for private in-home or in-studio Flute lessons? Our Poway teachers are ready to get you started. Find your teacher today! Check out some of our most popular teachers near Poway, CA including San Diego, Chula Vista, Carlsbad, La Jolla and Oceanside. I'm a casual, easy-going, caring person, and I enjoy establishing a unique working relationship with each student. I have been teaching flute for about twenty years. In teaching I employ a personal, individual, flexible approach, to give my students each what benefits him/her the most. I emphasize proper technique, beauty of tone, musical interpretation, and enjoyment. Music theory is intertwined with the instruction. And we play lots of duets! I also play the piano, thus sometimes accompany my flute students. I have been playing the flute since fifth grade, a long time! I have taught flute privately for about twenty years. My second degree is an AA in Music from Grossmont College, near San Diego, CA. 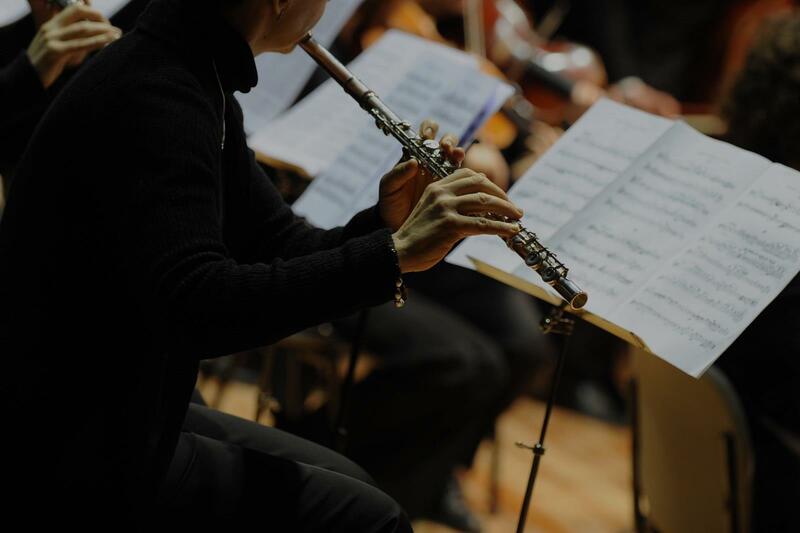 As a flutist I have been a member of both the La Jolla Civic Orchestra and the Grossmont Symphony Orchestra. Since 1989 I have been the principal flute and a soloist with the San Diego Concert Band. In that group I regularly lead flute sectional rehearsals. Since 2007, I have been a flute coach every summer at San Diego's Band at the Beach music camp for junior high and high school students. I have taught students from ages 5 to 80 and have good rapport with every age. al, individual, flexible approach, to give my students each what benefits him/her the most. I emphasize proper technique, beauty of tone, musical interpretation, and enjoyment. Music theory is intertwined with the instruction. And we play lots of duets! Wonderful lessons with good teaching in playing duett, in rhythmic from classic to modern music. Diane was so patient and kind with my 13 year old daughter. she had her playing music in no time at all. I highly recommend her as a piano /music teacher. She was a blessing to us! I have been taking flute lessons from Ms. Wilson for close to 4 months now and its been a great experience so far. I had very little idea of music and had no such formal training but wanted to learn flute. She is supportive from day 1 and started to teach me the basics of music and flute. She is very calm, listens to my problems when I don't get some things easily and tries to suggest solutions. She has been very flexible in class timings and adjusts her schedule to accommodate me when I can't make it to the class on some days. I wish I get to learn a lot from her and become a good flutist. I can help you or your child learn how to play flute, establish fundamentals and have fun doing it. ation of California (MTAC), Southern California Junior Bach Festival, The Carnegie Hall Royal Conservatory Achievement Program, and AP Music Theory. Learn the basics so you can take control as you advance your technique. Fun, competitive, and quality flute lessons at your home! My passion for music and the arts is matched only by my passion for teaching and sharing my knowledge. Students of mine have quickly become principles of their band and orchestras and have made it into the top seats of their honor bands. Within the first month, knowledge of scales, arpeggios, and fingerings will be mastered - and soon enough, fingers will be flying! Each Lesson is tailored to the student to allow for the greatest amount of development in the shortest amount of time. Jeremy discovered passion when he picked up the flute late his junior year of high school. After only a year of being self-taught he quickly became principle flutist of his school’s top band, the district orchestra, and the district honor band. During his studies at San Diego State University, under the instruction of Pamela Vliek Martchev, he performed with the San Diego City Ballet (2013), Opera Neo (2015), as well as SDSU’s top performing groups, the Symphony Orchestra (2013-2016) and Wind Symphony (2011-2015). He has also performed in numerous musical productions such as Into the Woods, Les Misérables, West Side Story, and Annie. Jeremy has competed in the San Diego Flute Guild competitions twice, placing 3rd in 2013 and earning Silver in 2016’s college division. or for the San Diego region where he aims to create and develop enriching musical experiences for his audiences and students. Jeremy helped our son correct some foundational aspects of his playing, while also being encouraging about his areas of strength. Importantly, our son was very excited with his new teacher and can't wait to apply what he learned. Granddaughter Aliza, 7 years, loved it. Jeremy has so far been excellent. We've only had two lessons but my daughter is having a fun and inspired time and she is thrilled to keep learning from Jeremy. Keep up the good work Jeremy! Can't find a teacher in Poway, CA? "Granddaughter Aliza, 7 years, loved it." San Diego, CA teacher: Jeremy M.
ump ahead in her school orchestra after only 2 months with Rebecca as a new flute student. Rebecca is a professional but also a lot of fun. We highly recommend her." San Diego, CA teacher: Rebecca N.
"My daughter has been taking lessons from Diane for several months now. We have seen significant improvement in her skills and she loves the lessons." San Diego, CA teacher: Diane W.
hat he taught me. And looking forward to next week." San Diego, CA teacher: Ian T.
. She is so encouraging and my daughter has made tremendous progress during her time with Diane. Best of all, now my daughter really enjoys playing her flute. If your child is playing as part of a larger ensemble through school or another program, I highly recommend supplementing that experience with some one-on-one lessons with a private instructor such as Diane. Five stars!" "Wonderful lessons with good teaching in playing duett, in rhythmic from classic to modern music." nt audition at school placing him in the top ensembles . He's constantly learning and sharing his practice tips that have helped him get to his high level of performance. He knows how to help other students, explains concepts in simple ways to understand, and knows which books to use. He puts attention to detail and focuses on technique. He listens attentively and helps you train your ear. His expression is beautiful and his passion shows through his performance. I would recommend for a private lesson." s very excited with his new teacher and can't wait to apply what he learned." "I think Anyhony is great. He is s good teacher, makes learning fun. Highly recommend"
San Diego, CA teacher: Anthony L.